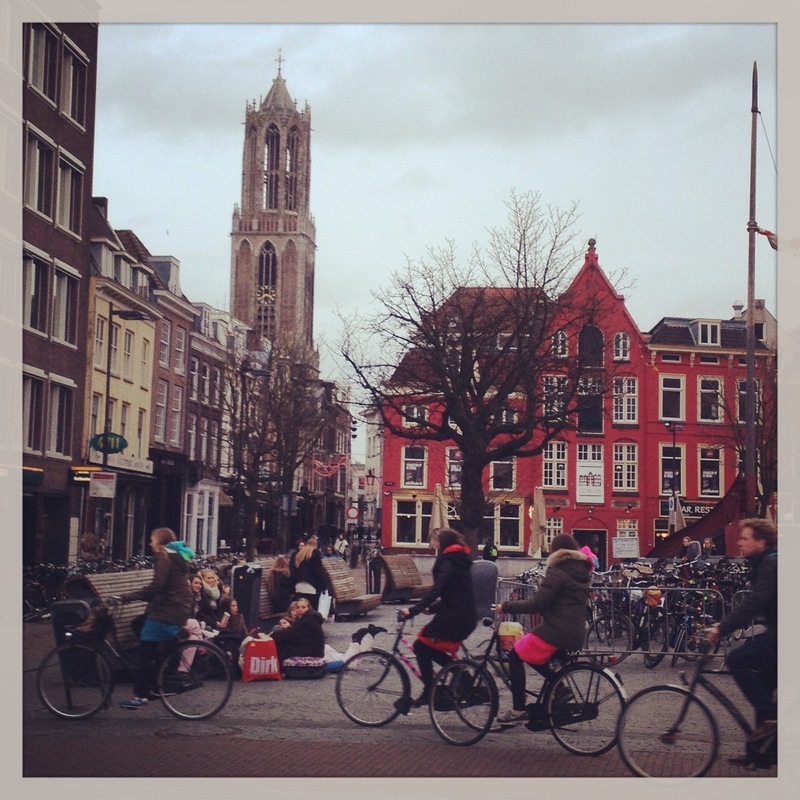 Is it possible to get bored of Utrecht? 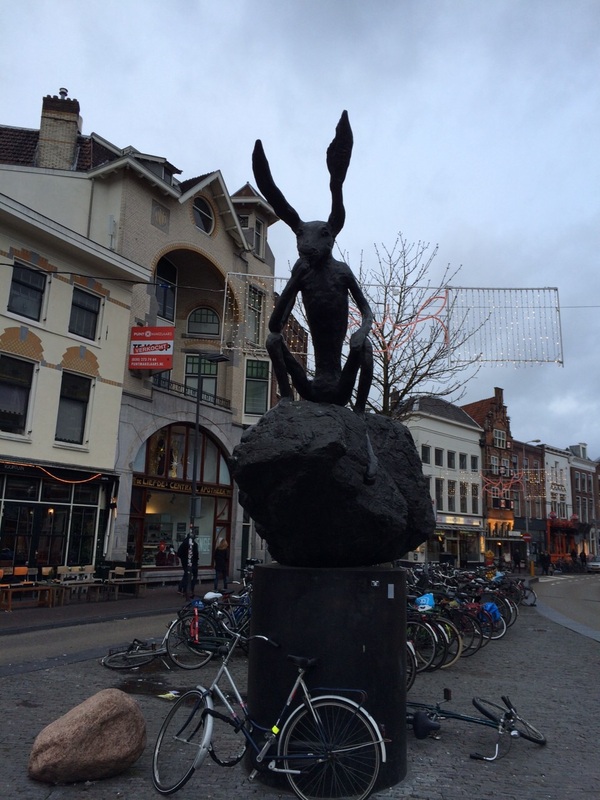 On Sunday we went to Utrecht (again – which must be about my 123rd trip!) Ok, kidding, but I have been around 10 times… and for me, it never gets old. The reason? It’s just so darn pretty… even in dreary January! 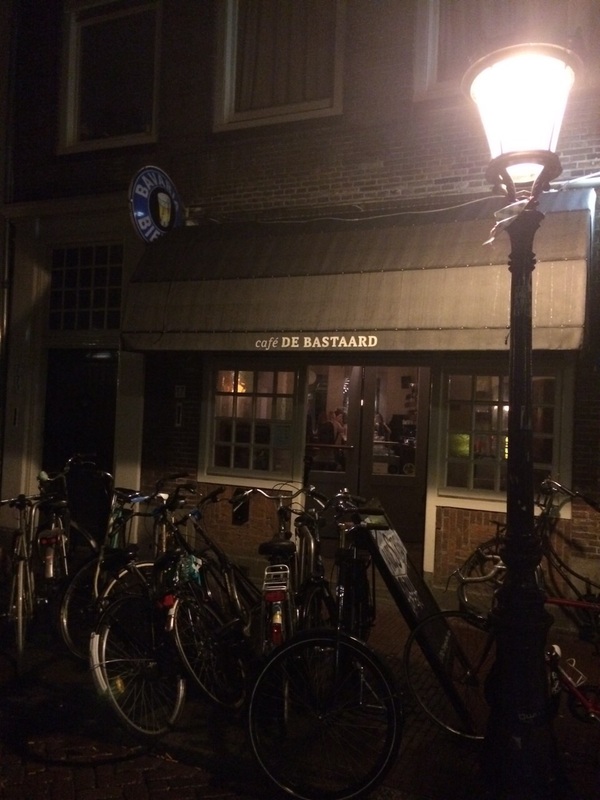 But honestly… the real reason we went to Utrecht? KFC!! I’m laughing as I write this, as it seems so ridiculous, even to me! 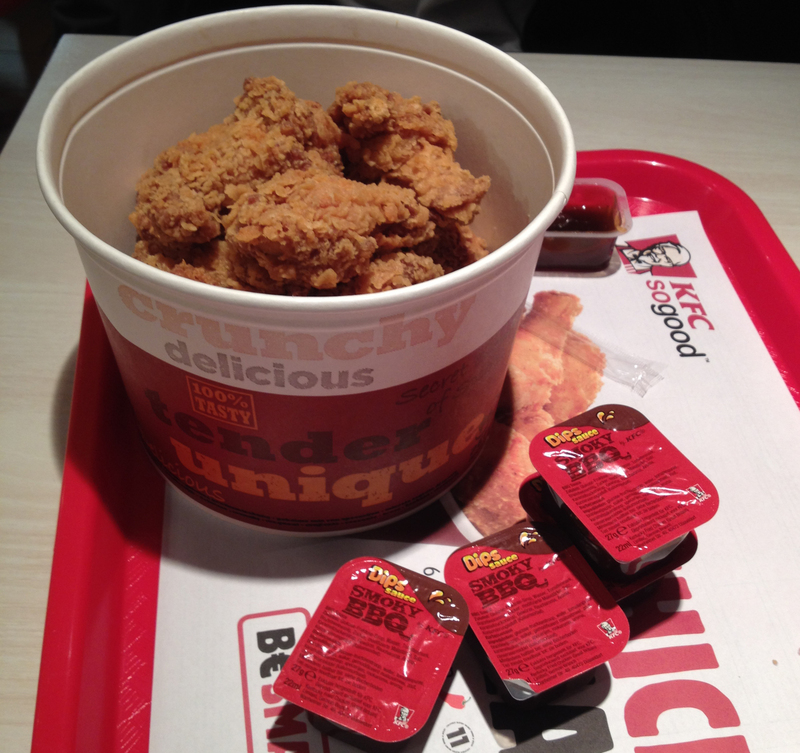 But hey, I’m an expat and sometimes you miss things… and on Sunday, it was the Colonel and his not-so-secret recipe. It’s an American chain, but in the UK, we have KFCs everywhere! Over 800, in fact. 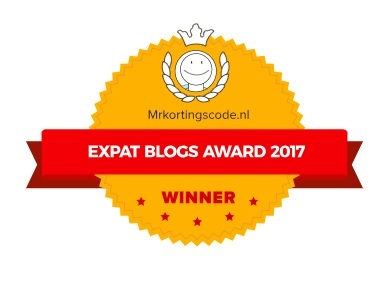 In the Netherlands? 44. I agree wholeheartedly with their slogan: ‘So good’! After the amazing chicken… (hot wings, in case you’re not a connoisseur like me) my happy KFC bubble was rudely disturbed when I went to the loo. Yup, you have to pay 50 cents to use the facilities! (That’s about 40p for English folks.) 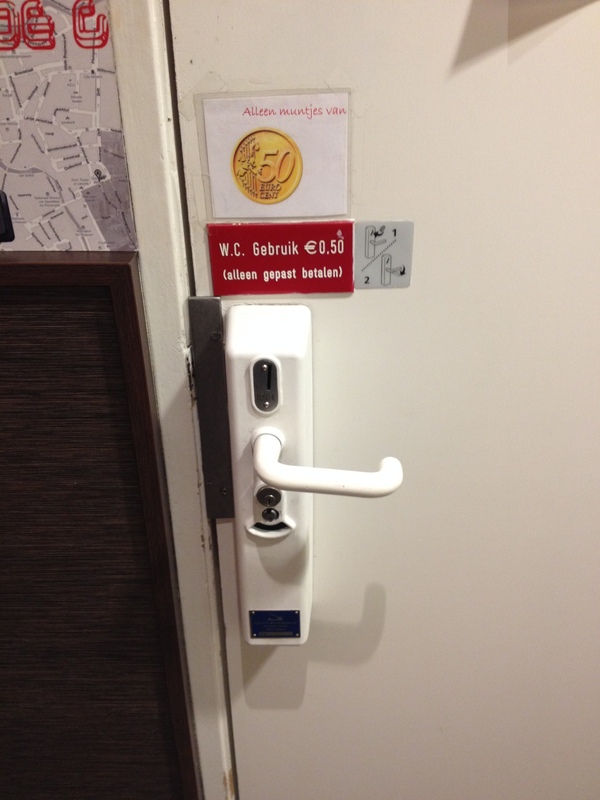 Normally, at motorway services or on King’s Day… this doesn’t bother me… because it means you’ll get a clean toilet. I get it. But not having any coins means going back to the counter to change a €5 note, after I’d just spent €15 in their establishment. That is annoying. And what if you didn’t have any cash on you? Arrrgggghhhh. Anyway, rant over. Next stop was the Wolff (City) Cinema to see The Imitation Game. What a cracker!! Seriously one of the best films I’ve seen in the last few years. I’ve heard of Benedict Cumberbatch – with a name like that – who hasn’t!? But I’d never seen him act before… and man, can he act! Quick synopsis: English mathematician and logician, Alan Turing, attempts to crack the Enigma code during World War II. If you haven’t seen it yet, go now! It hasn’t got a bazillion award nominations for nothing! Outstanding film. Nothing to do with the film, but this cool building was close to the cinema. Apparently a bed specialist… I just liked the architecture. And what to do post-cinema when it’s raining? Stop in the first pub you see, have a drink and discuss the film – of course! The bar itself, as you may be able to see from the picture, is made of several long pieces of driftwood! Very cool, but I’m sure the uneven surface has caused a spillage or two, especially after a few drinks! A definite hidden gem! 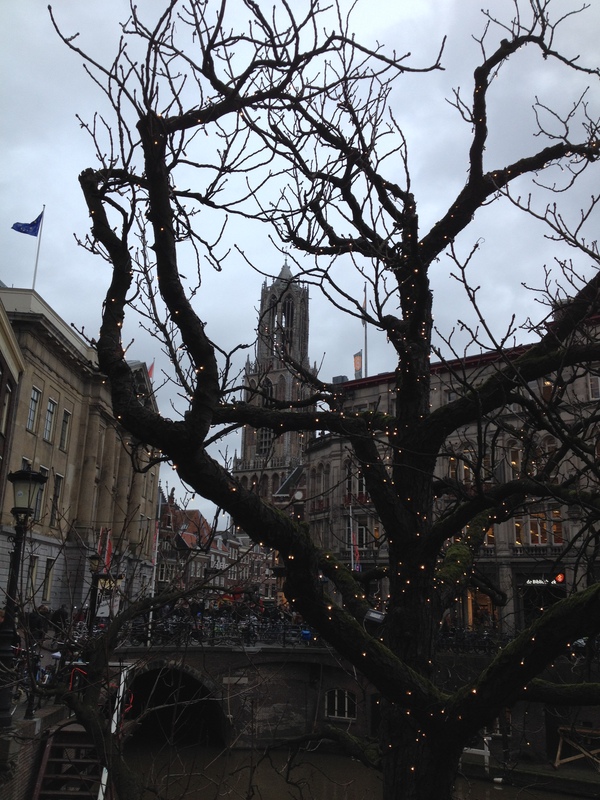 Where are your favourite spots in Utrecht? Any recommendations for me? 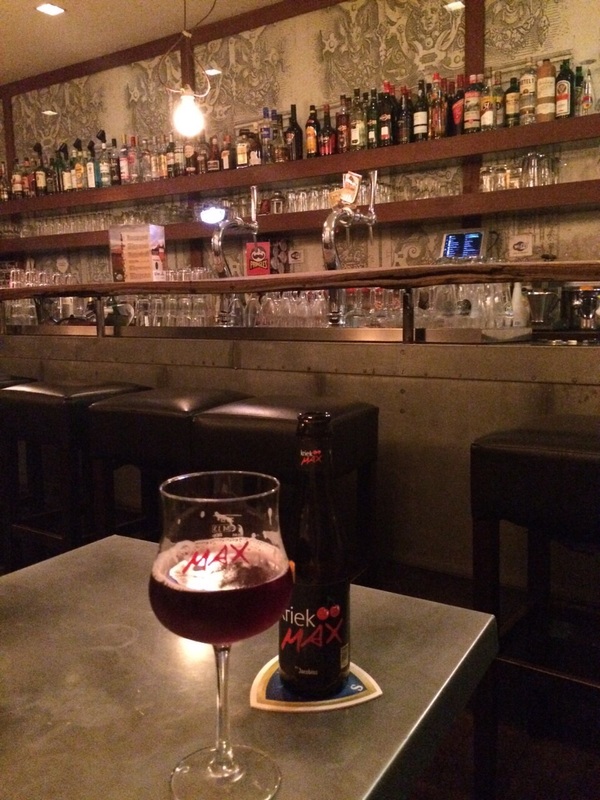 I like Utrecht too! Klein maar fijn. Try Humphrey’s on the gracht for date night. You’ll like the atmosphere. And it’s hard to find good Tex-Mex in NL, but Popocatepetl comes pretty close. Hmmm KFC! I love the chicken nuggets. We have 1 in Hengelo, about 12 km from here. In our town is just the Mc and I refuse to go there, lol. Maybe too many Dutch know what is IN the chicken nuggets. If you should know, you would never eat it again! Worse than in frikandellen! Ieeeeks?? 99% of any animal has it’s use in some way. Brains sound ‘yuck’ and ‘zwezerik’ is a delicatesse, Pork cheeks? “Forgotten meat” but so soft and tender for a stew. Nowadays we are spoiled but our ancestors appreciated (almost) every part of an animal. And it is ok to NOT know, what is in a nugget or frikandel. ‘Testicles’? Disgusting to us but in other cultures they are a token of menhood, to eat them. Not to mention the powder of rhino/elephants tusks. Not on a soapbox here, as I will not eat insects or brains or tusks in any way, lol. I suppose the 50ct is to stop random people from coming to just use the facilities and leave, but it would be nice if they gave you some sort of token with your order so you can go to the loo at least one without paying. I don’t get to Utrecht that much but every time I go there I really enjoy it. As you said, it is a very pretty city. Thank you, Charlene! Will be sure to check them out! 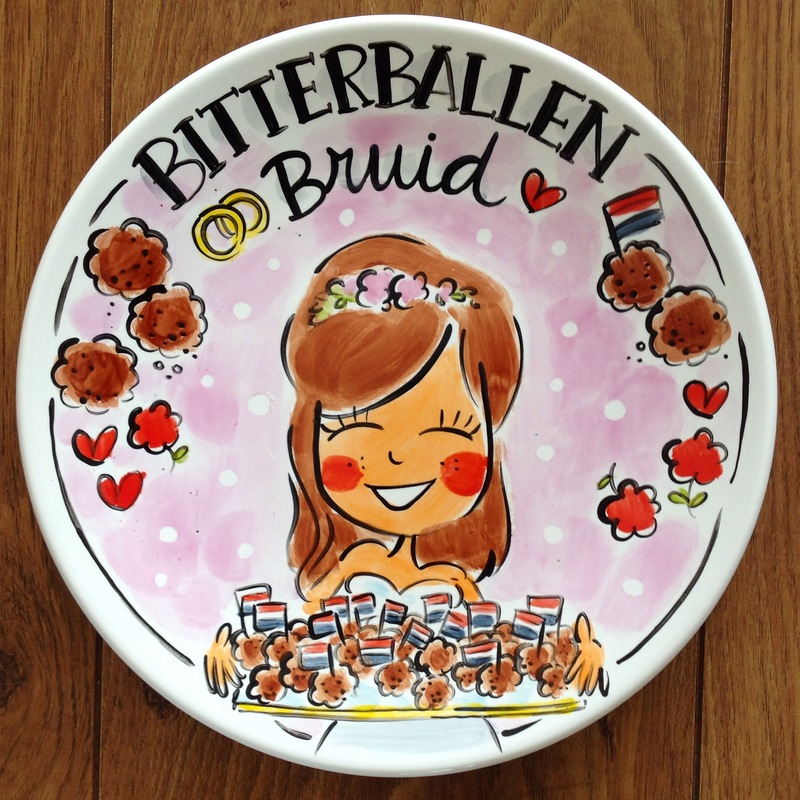 I had BRILLIANT bitterballen in Utrecht. It’s a lovely town!! 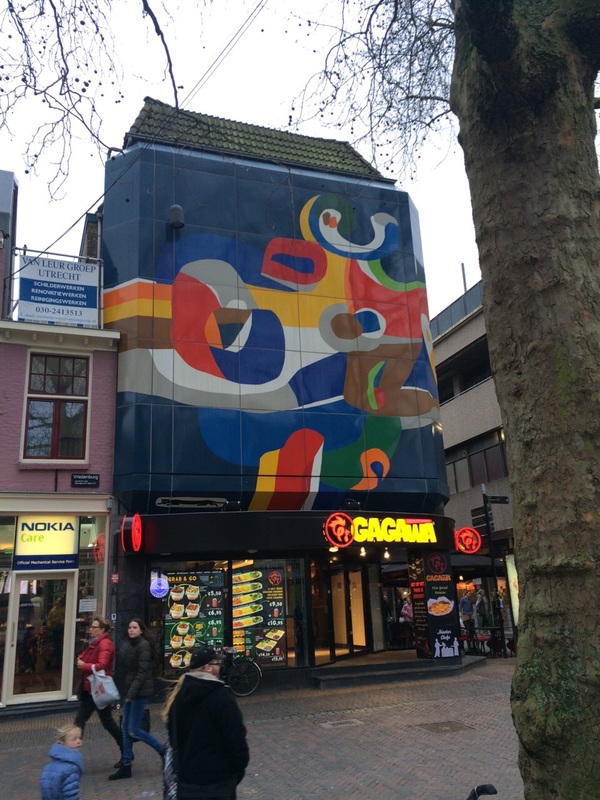 I live in Utrecht for 2 years (as a student) and I fell in love with this city. 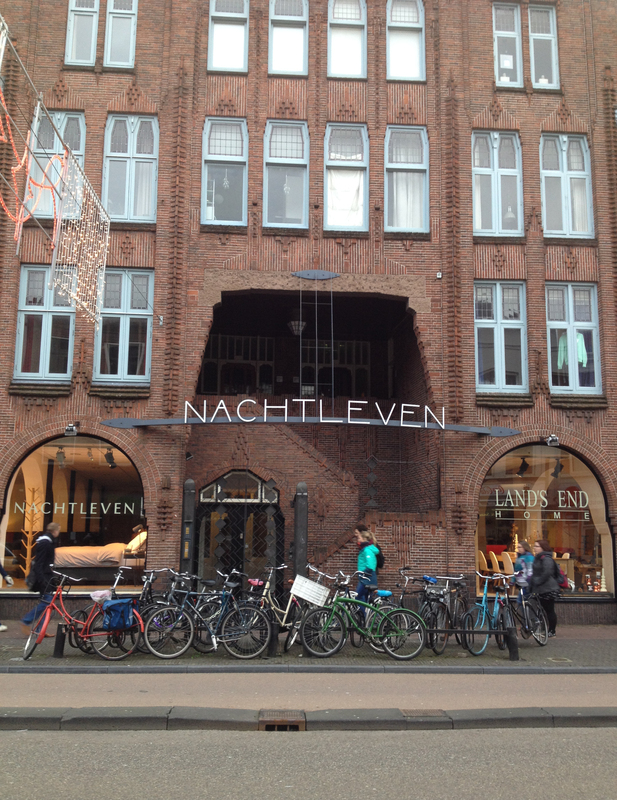 My favorite places are the little quiet streets between Lepelenburg Park and the Oudegracht. All the gorgeous houses are so much fun to look at and to imagine how they’ll look from the inside. Or the Kromme Nieuwegracht, by moonlight haha, where in the night, the light from the houses at De Werf shines mysteriously on the water. Thanks, Frits! Love a bit of punk! Will check out Cafe Derat too. Thank you.